Who doesn’t like cordon bleu? With this vegan version of the traditional recipe, everyone can enjoy this delicious meal. Keep on reading if you want to know how to prepare this super easy and tasty meal! So, this recipe for vegan cordon bleu is meant for 2 to 3 portions. However, you can change up the amounts for each ingredient to create as much deliciousness as you want. 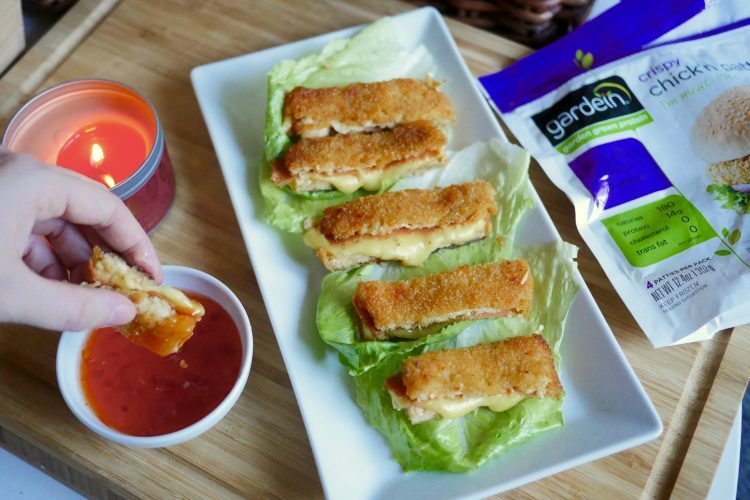 This is how you make this vegan cordon bleu. Take a pan and put some olive oil in it. Fry the patties by following the instructions on the packaging. While doing so, preheat your oven to 200 degrees celsius. When the patties is nice and golden, cut them in half. Take one of the halves, put a slice of vegan cheese and a slice of vegan ham on the half and lay the other half of the patty on top. Put your lovely creations in the oven until you see the vegan cheese melting. Enjoy your vegan cordon bleu!